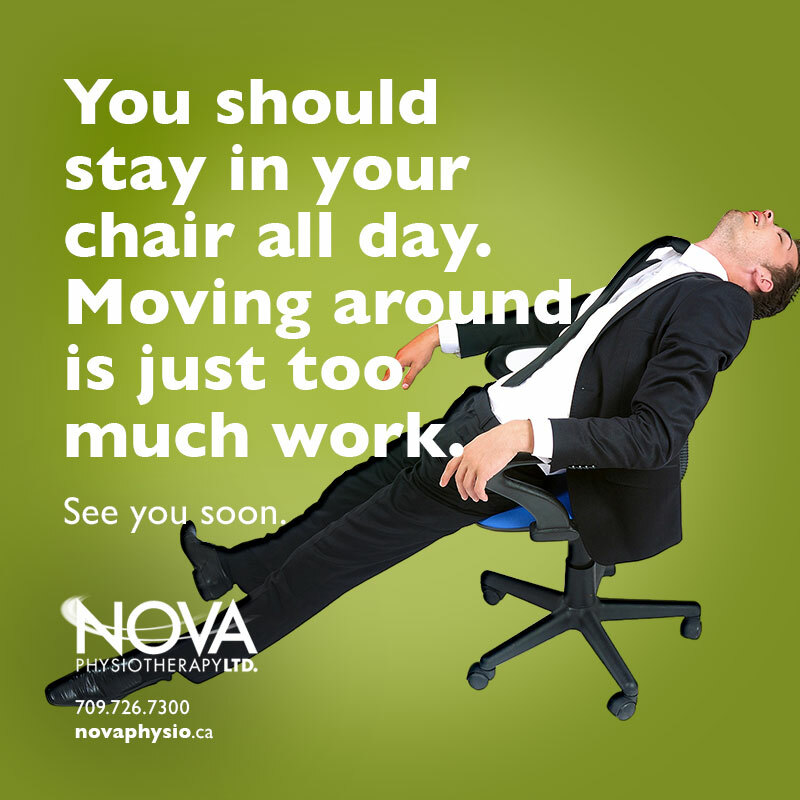 Nova Physiotherapy offers a variety of services to assist in mobility health. Our ground floor, wheelchair-accessible clinic features eleven air-conditioned treatment rooms, with private rooms available as well as a gym and exercise area. Our skills include rehabilitation in orthopaedic & sports injuries, neck & back pain, motor vehicle accidents as well as work-related injuries. various gym equipment, including BOSU™, foam roller, inertial exercise machine, stability balls, wobble boards and disc fitness. Nova Physiotherapy offers for sale various accessories including pillows and back supports and a rental service for TENS and muscle stimulation units. The KIN COM™ is a computerized muscle retraining device and Nova Physiotherapy has the only one of its kind in the province. It is most often utilized for knee and shoulder rehabilitation, but can also be used for the wrist, elbow, hip and ankle. The exercise programs are fully tailored to the individual, be they school-age, seniors, someone recovering from trauma, surgery to the elite athlete and range from passive and isometric (static) exercise to concentric/eccentric isokinetic exercise as fast speeds. At Nova Physiotherapy, we offer an exercise program working with those with osteopenia and osteoporosis. The program was first developed by the Melioguide™ and is designed for “the independent adult to improve bone density and reduce fall risk”. The exercises are individually tailored and can include components of senior fitness testing, postural assessment and exercise designed to stretch and strengthen the muscles required to keep the head back over the shoulders, core strengthening and exercises utilizing ‘Physio Ball’. Nova Physiotherapy has a therapist trained in golf specific injuries that will perform a golf specific subjective and objective examination. In addition, an evaluation of flexibility and strength. A videotaped analysis of the swing can be performed and a golf specific rehabilitation program can be implemented. Find out more.